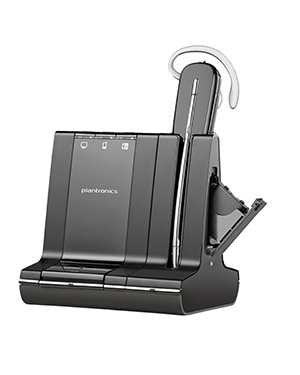 Plantronics Savi W745 Convertible DECT Headset Package provides users the ability to be able to manage calls from different devices (PC, desk phone, and mobile phone) wirelessly and seamlessly simply by using a single wireless headset. This is Plantronics’ lightest DECT headset to ever be introduced to the market. 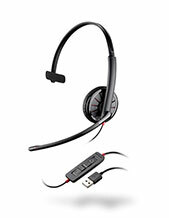 More details are made available about this headset by calling our hotline at Australia wide 1300 131 133 today. 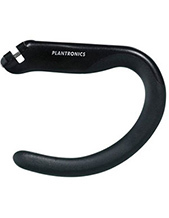 Plantronics is a consumer electronics company that was founded in the year 1961.Headquartered in Santa Cruz, California, the company has operated in the global market with the help of more than 3,000 employed experts worldwide. 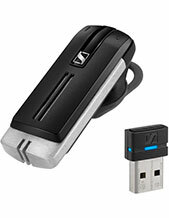 It is popular for products that include business and consumer audio products, and corded and Bluetooth headsets. Plantronics is popular for products and solutions that sepcialise in music, gaming, mobile usage, and unified communications. While it may be headquartered in California, the company has manufacturers and production located in Mexicon and China. Plantronics was incorporate in August of 1988. Throughout decades of operations, it has become one of the best designers, manufacturers, and marketers of communications headsets and solutions in the international market. More than just the offer of regular products and solutions, the company also provides specialty products in the form of hearing-impaired headsets and the like. Other specialisations of the company include audio processors, PC and gaming headsets, and contact centre telecommunication products and solutions. Australian online store Headsetsonline Pty Ltd is a major supplier and wholesaler of audio and sound products and solutions in the country. This store started out as a part of a popular company providing the similar offers as the store in 1998 and after that has operated independently. It has used years of experience and knowledge gathering in order to effectively provide the Australian market with the most ideal products and solutions to deliver customers’ needs. Headsetsonline ensures that all of its products and solutions have high quality and this is accomplished through two specific methods. The first method includes the company’s choice of getting its products and solutions from Australian distributors. With Australian distributors, products are guaranteed to pass Australian standards certification and have warranties that could be covered all over the country. The second method is through the company’s process of thoroughly evaluating, testing, and cleaning of products before they are offered to the market.